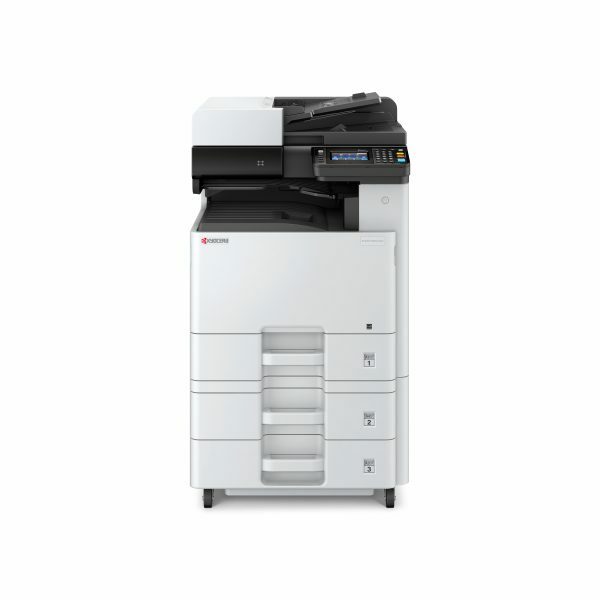 The Kyocera ECOSYS M8124cidn from RYAN brings color and high-level functionality to businesses that demand superior performance in a cost-effective, small footprint MFP. Designed with Kyocera’s award-winning, advanced ECOSYS technology, it offers print speeds up to 24 pages per minute and flexible paper sizes up to 11″ x 17″ in a device that is reliable, durable and eco-friendly. Optional business applications can further enhance the MFP’s capabilities, enabling it to scale to your unique needs. It’s a solid and dependable partner for businesses who refuse to settle for simply ordinary.